How can Brixton and the surrounding areas be transformed into places where adults and children feel safe and comfortable cycling around? Brixton is very much the political centre of Lambeth with the town hall and council offices located around the town centre. Brixton is also an important retail and entertainments centre with good transport links bringing people in from across London and further afield. But away from the main streets Brixton is largely a residential area. Greater Brixton, incorporating surrounding areas including Loughborough Junction, Herne Hill and Tulse Hill, has one of the lowest levels of car ownership in the UK but the area is dominated by motor traffic with the A23 Brixton Road a key strategic London route and roads such as Acre Lane and Coldharbour Lane acting as important cross-London links. Although improved over the past 10 years many Brixton roads remain intimidating; not just to children but also to many people who would cycle if it were made pleasant to do so. What changes need to be made for Brixton to become a place where people of all ages cycle without fear to friends, to shops, to school, or to work? How can we make Space for Cycling? If you live in, work in, or travel through Brixton Hill, Coldharbour, Ferndale, Herne Hill and Tulse Hill wards, then please come along. Join us on Saturday 29 March 2014 for an easy going ride around suburban South London looking at the surviving medieval and Tudor buildings from Croydon to Cheam. Despite the passage of time many buildings still remain dating from this period when Croydon was a significant market town and home to the Archbishop of Canterbury at Croydon Palace. Archbishop John Whitgift, set up a foundation to provide charitable care for residents. 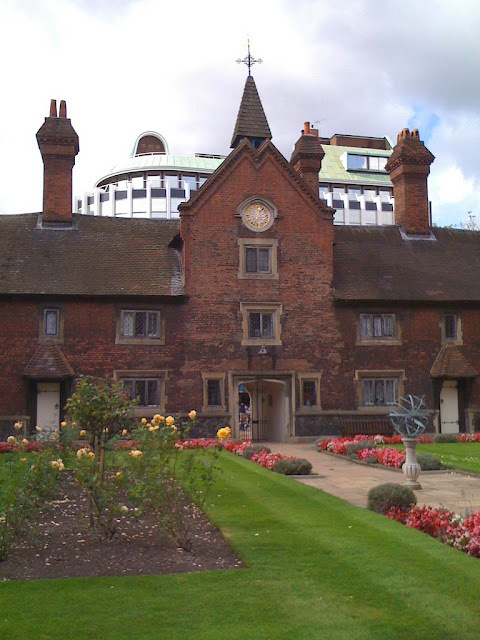 The buildings constructed by the Whitgift Foundation such as the almshouses (pictured) will be amongst those we visit on this ride along with Croydon Minster, All Saints Church in Carshalton and Whitehall in Cheam. This ride will explore some of the lesser-visited parts of South London travelling down, in many cases, quiet lanes through suburbia. This ride is suitable for all riders and all types of bike. Join us for this easy going ride. Meet Saturday 29 March 2014 10:15am (for 10:30) at Streatham Common Station. Or meet us at East Croydon station at 10:50. 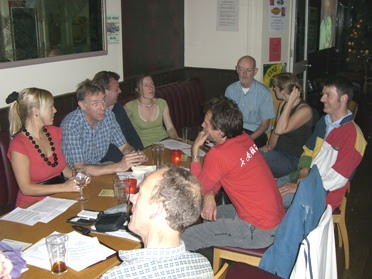 We will stop for lunch at about 1pm at the Little Windsor pub in Greyhound Road, Sutton, and end at about 4pm in Cheam, returning from a railway station in Cheam or Sutton or cycling back to Lambeth. Please make sure your bike is in good order. This ride will be led by Anthony Gilmour - contact 0795 1572330. Come and get your bike checked for free. 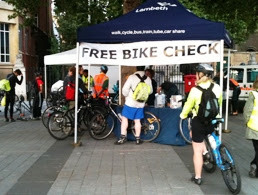 Lambeth Council's Sustainable Transport team will be running a Dr Bike session this Wednesday, 12 March 2014, 4:30-7pm at the Waterloo Roundabout, SE1: at King's College, outside James Clerk Maxwell building, SE1 8WA Come and get your bike checked for free.